View basket “Chinese 5 Spice (mild)” has been added to your basket. What makes us so special? 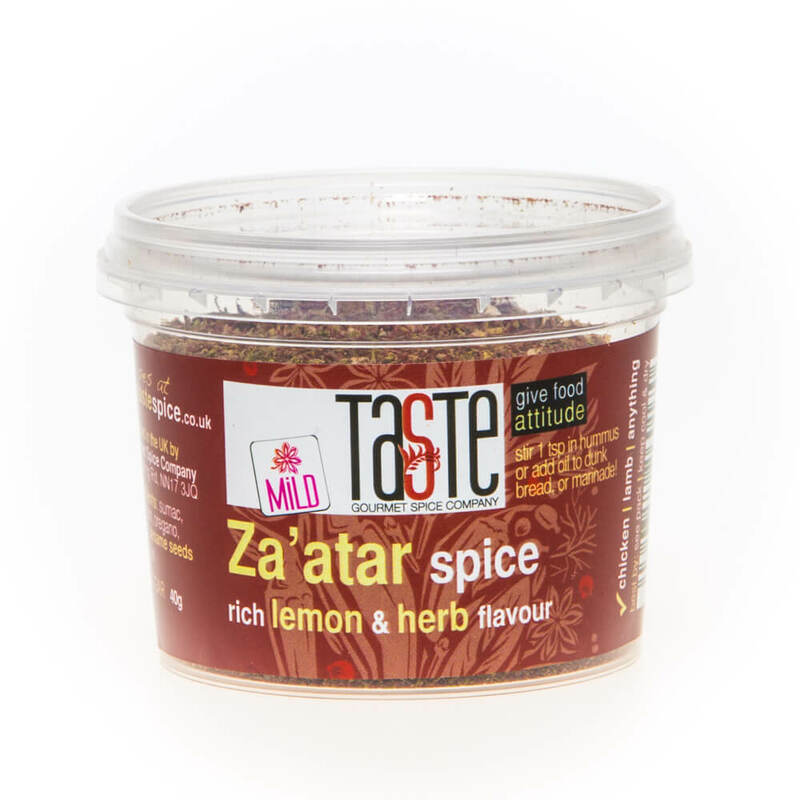 Unlike many other spice companies, our blends are NOT single use pots. The others you often get for £1-2 are designed for one meal, but because you only need 1-2 tsp of ours each time, there’s typically enough for 4+ meals in EACH pot! Use what you need, then pop the lid back on & stack them in the cupboard until you need them again. Zero waste & no half-opened packets of spice kicking around, falling over in the cupboard. So, they’re not only simple to use & very versatile, they’re great value for money too at around 50-60p per meal for all the family! Variety is the key to ensuring slimming plans are maintained. The best diets aren’t diets – they’re lifestyle changes. Eating the same handful of meals week after week can quickly become boring so it’s important to keep the variety in your routine. That’s what makes our products so good. 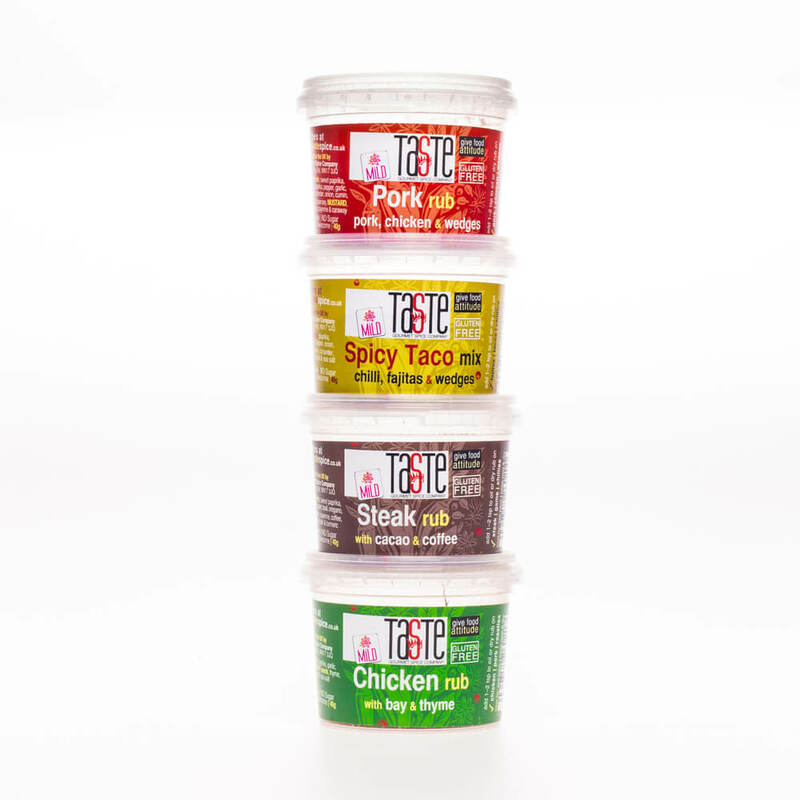 For example, our Spicy Taco mix is not only good on tacos, it’s perfect for fajitas, wedges, chillies, roast chicken & so much more. There’s loads of recipes on the website & on the Recipe Tips leaflet that comes in every bundle so you’ll never be short of ideas. 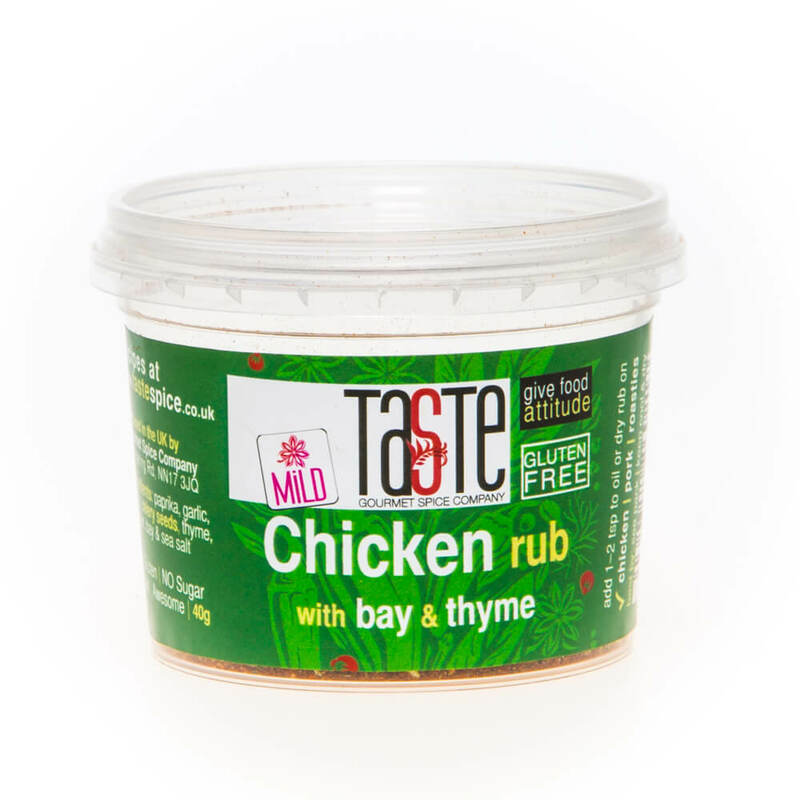 Chicken Rub (mild): one of our most popular, perfect for chicken or pork as well as roast potatoes & wedges. Transform boring chicken dishes! 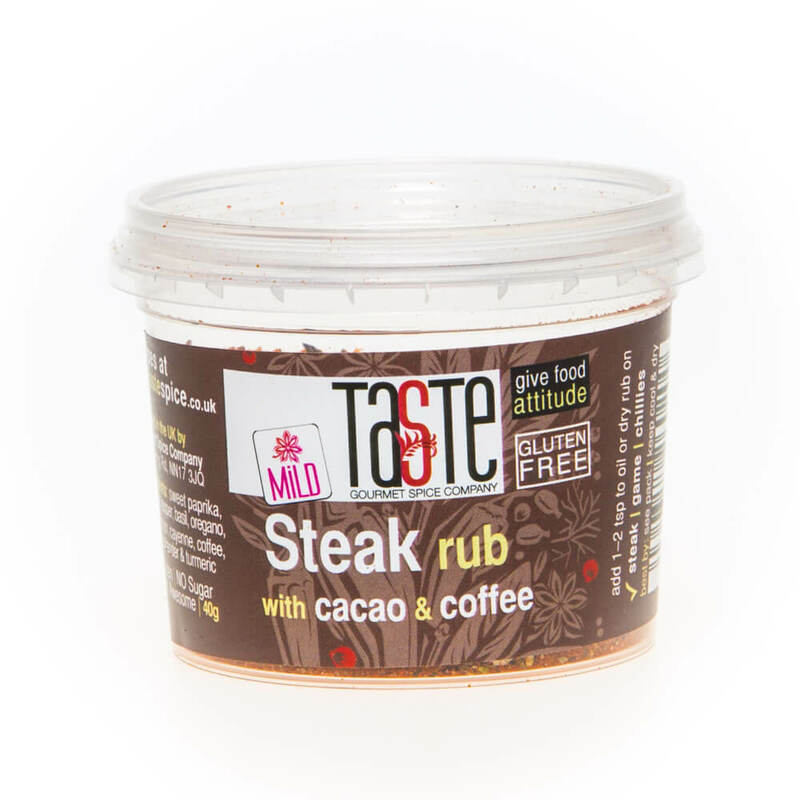 Steak Rub (mild): an incredible seasoning for steak, mince & other meats. Great for making homemade burgers, in slow cookers or chillies. 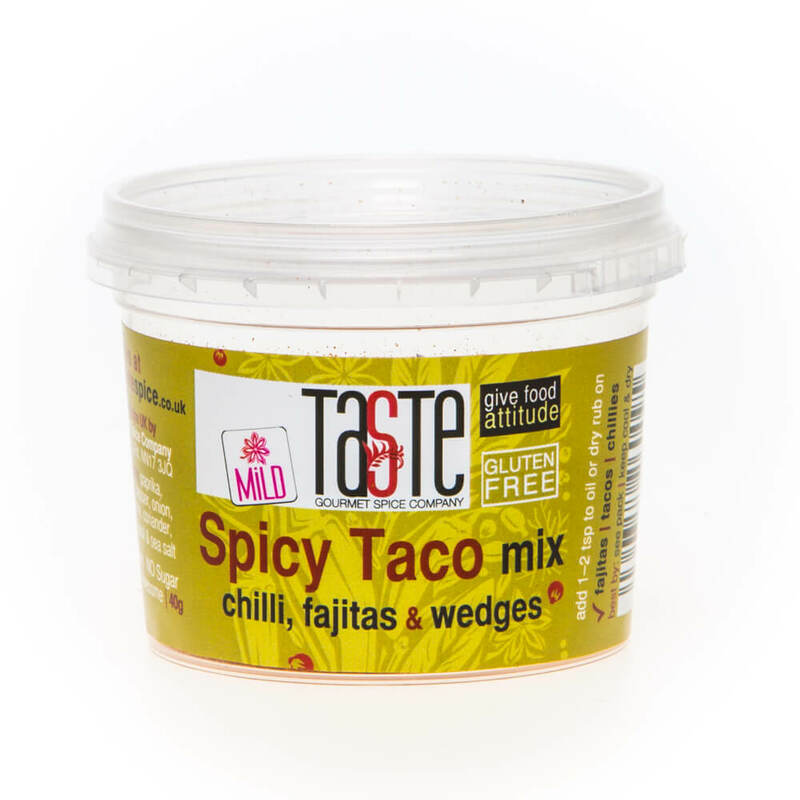 Spicy Taco (mild): an incredible blend of spice & herbs, perfect for fajitas, most chicken, tacos, chillies, wedges & much more. One of our top sellers! 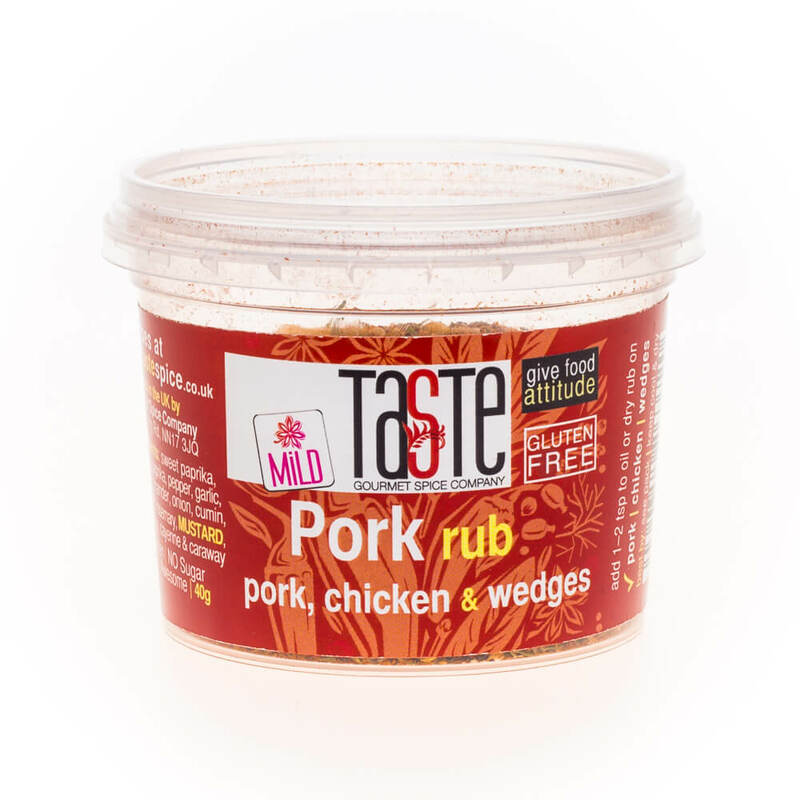 Pork Rub (mild): smoked & sweet paprika balanced with lots of garlicky, herby aromatics. Perfect for roasts, pulled pork or chops. 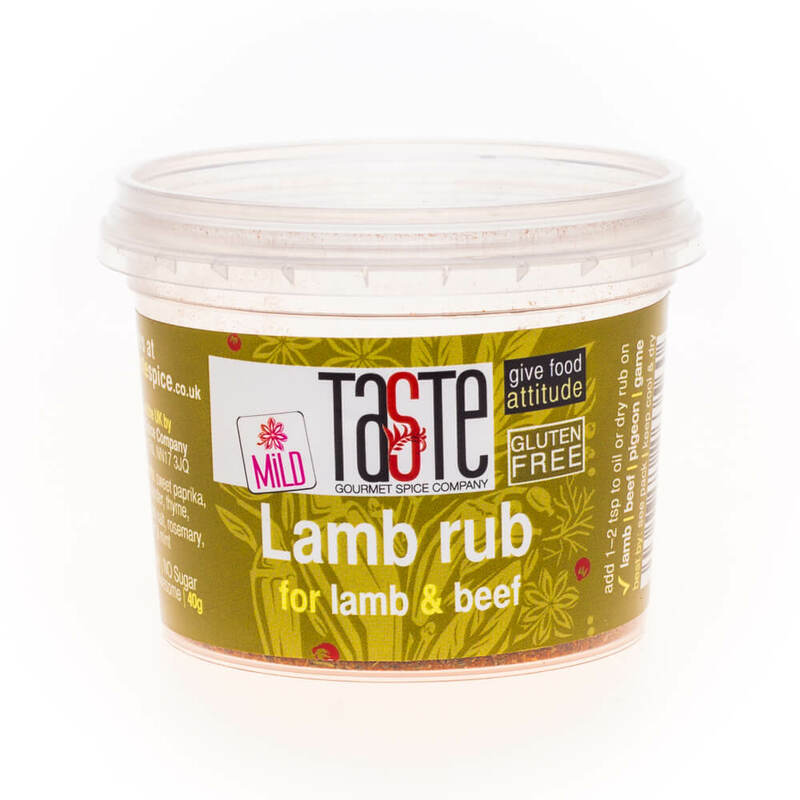 Lamb Rub (mild): sweet paprika with undertones of garlic, rosemary, thyme & just a touch of mint, perfect for marinating & slow roasting. 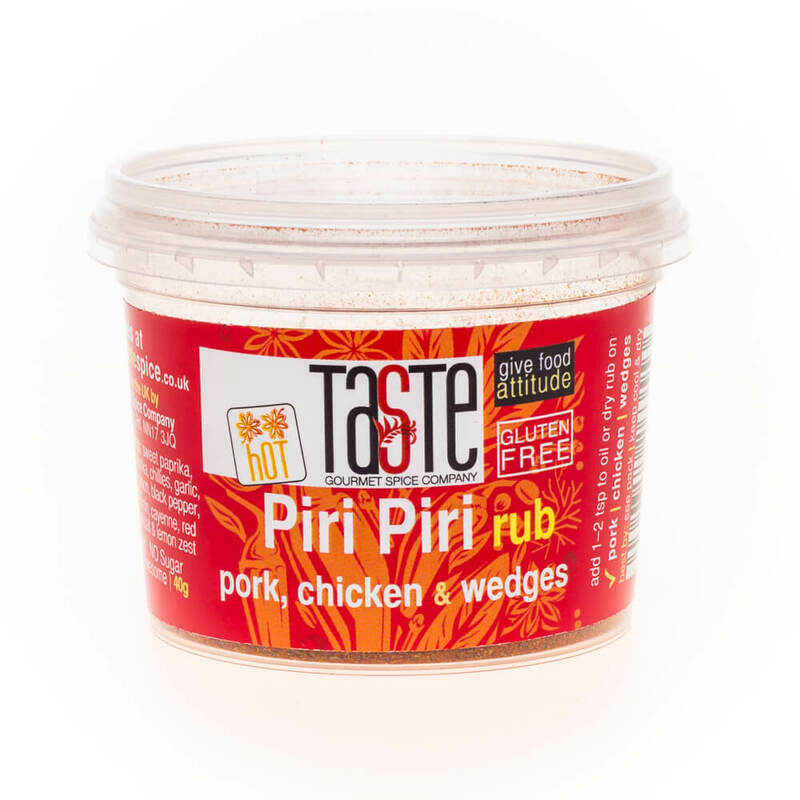 Piri Piri (hot): smoky & sweet paprika with a kick of chillies, cayenne, oregano & citrus. 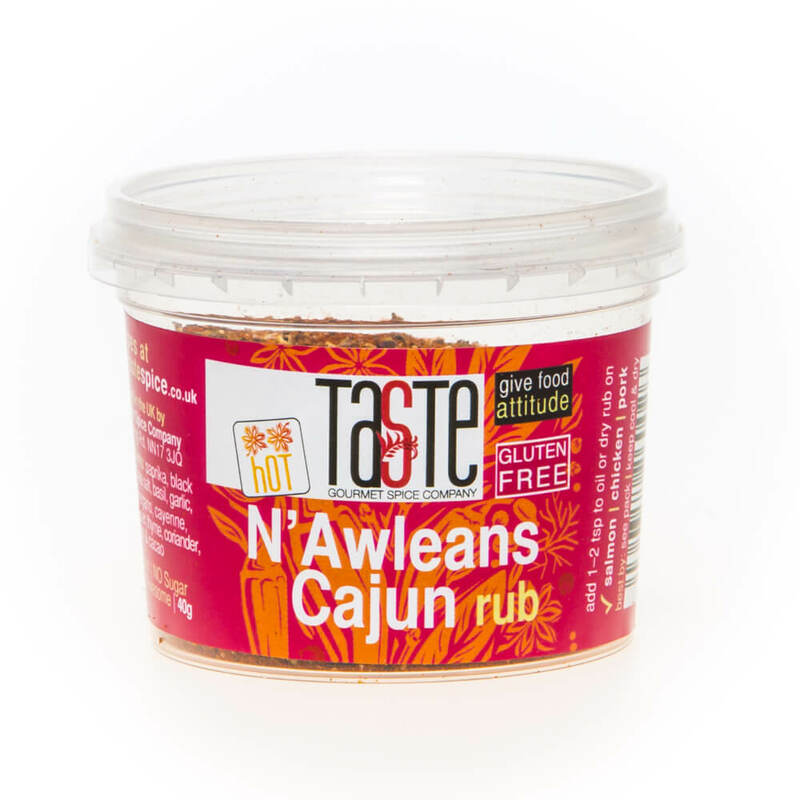 Perfect for roast chicken, pork, wedges & prawns. 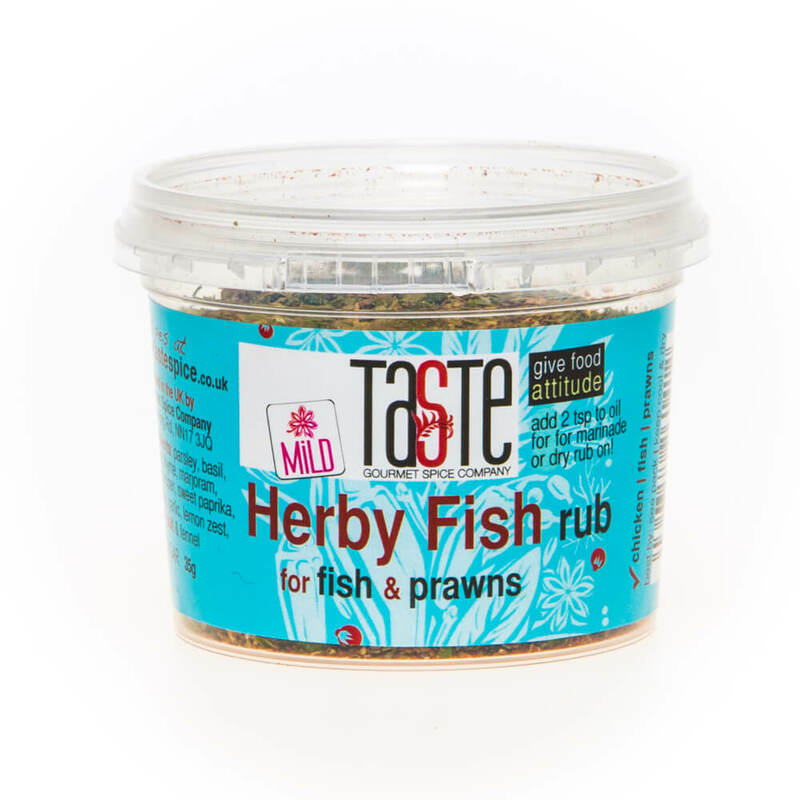 Herby Fish Rub (mild): herby, citrusy & fresh – perfect for those summer fish dishes! Lots of herbs with lovely, lemony Sumac works with chicken too. 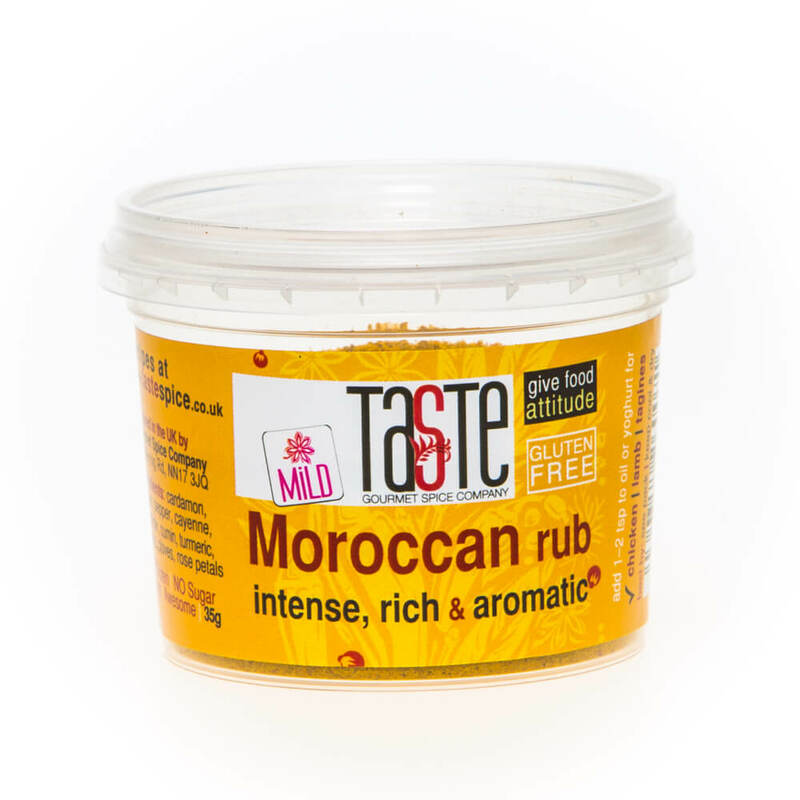 Moroccan Rub (mild): rich, heady & deep, perfect for tagines & slow cookers, it’s also great as a rub for chicken, lamb or a robust fish before BBQ’ing. 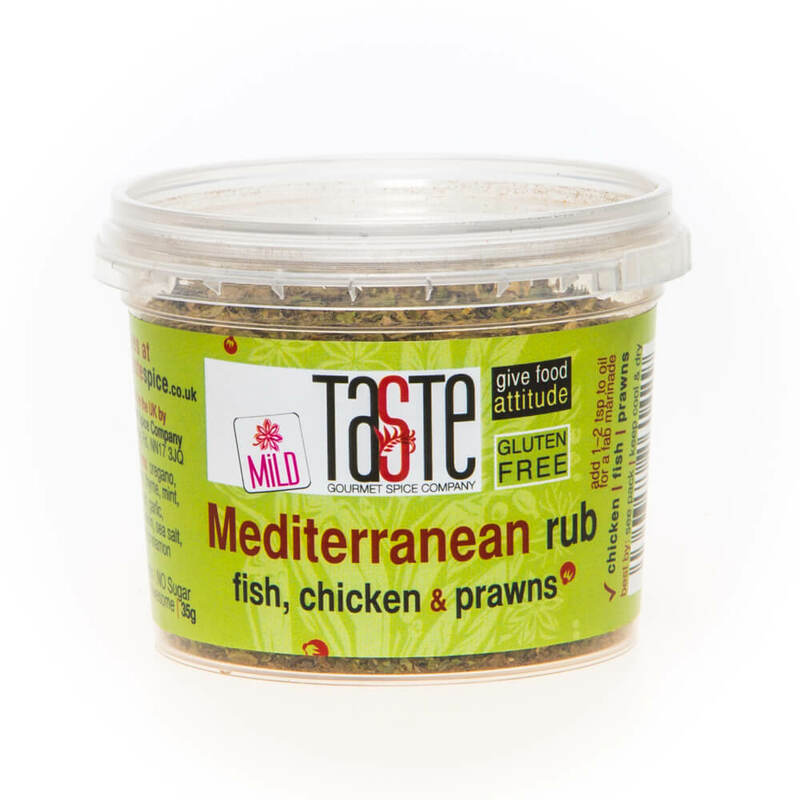 Mediterranean Rub (mild): Greek & Italian Seasoning rolled into one! 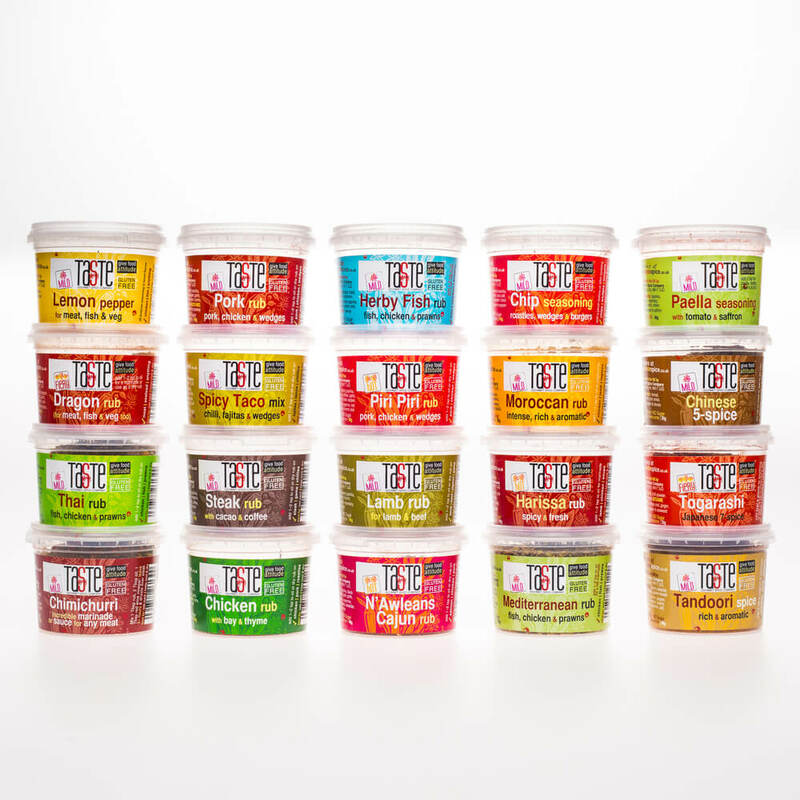 Herby & fresh to boost the flavour of fish, pork, chicken, seafood, pizza or veg. 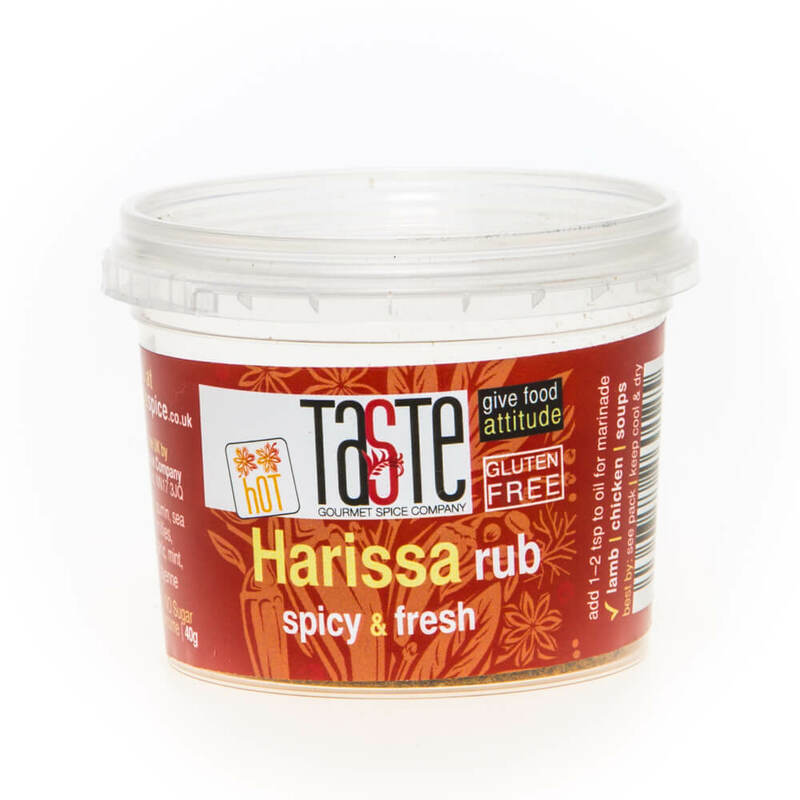 Harissa (hot): an incredible marinade or rub for lamb, chicken or roast vegetables & a gorgeous way to add massive flavour for homemade burgers. 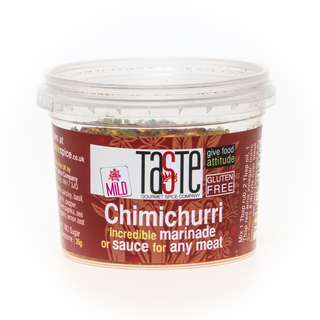 Chimichurri (mild): herby, garlicky & delicately spicy with warmth with its blend of smoked paprika & bell peppers. 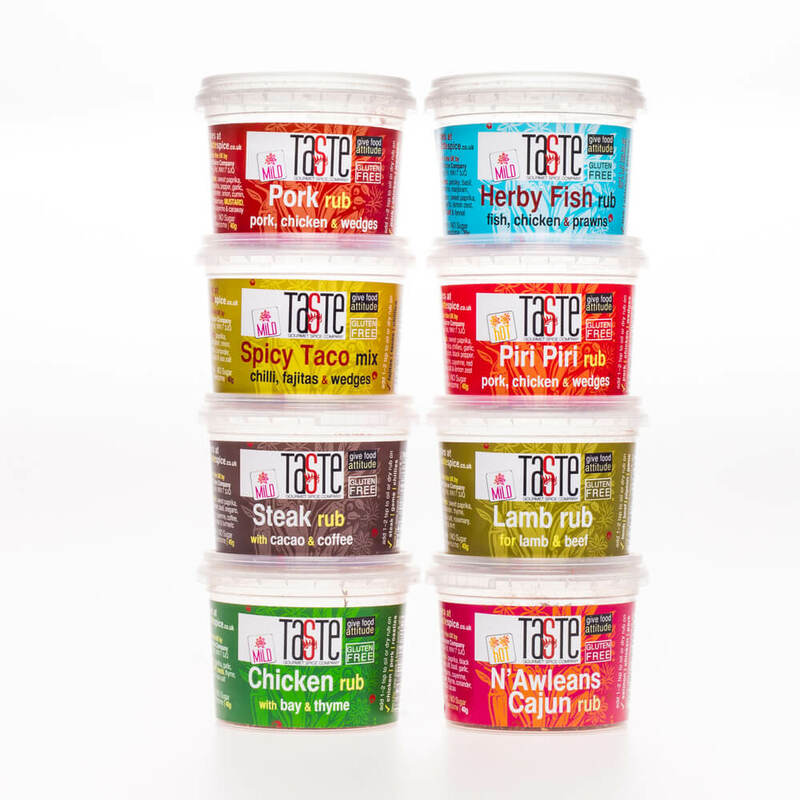 Perfect on red meats, chicken or veg. 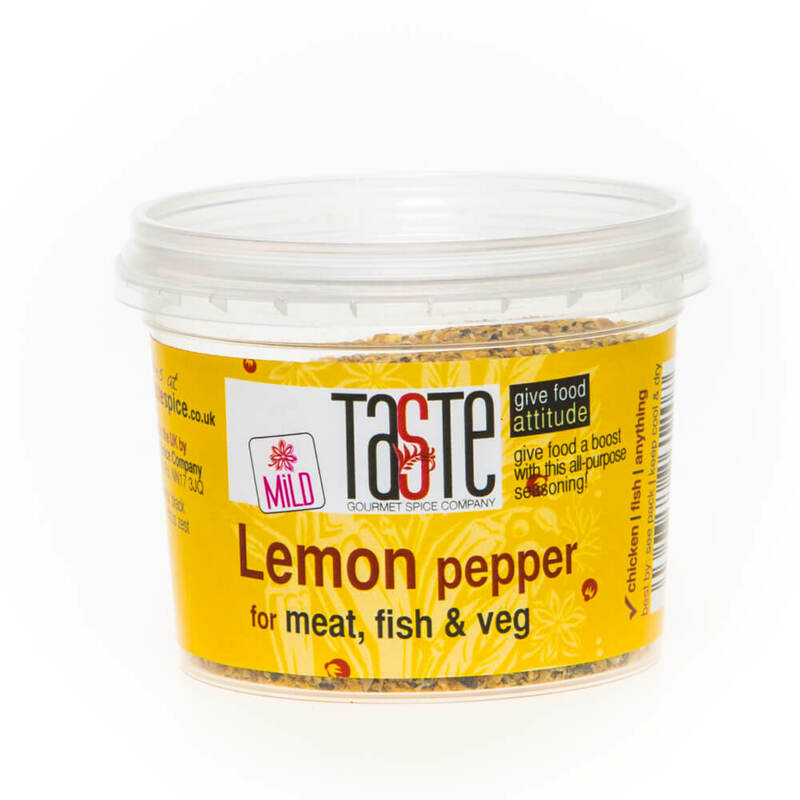 Lemon Pepper: fresh, warm & tangy, perfect for roast chicken & fish. Throw on chicken or add a few chopped herbs for seafood dishes. 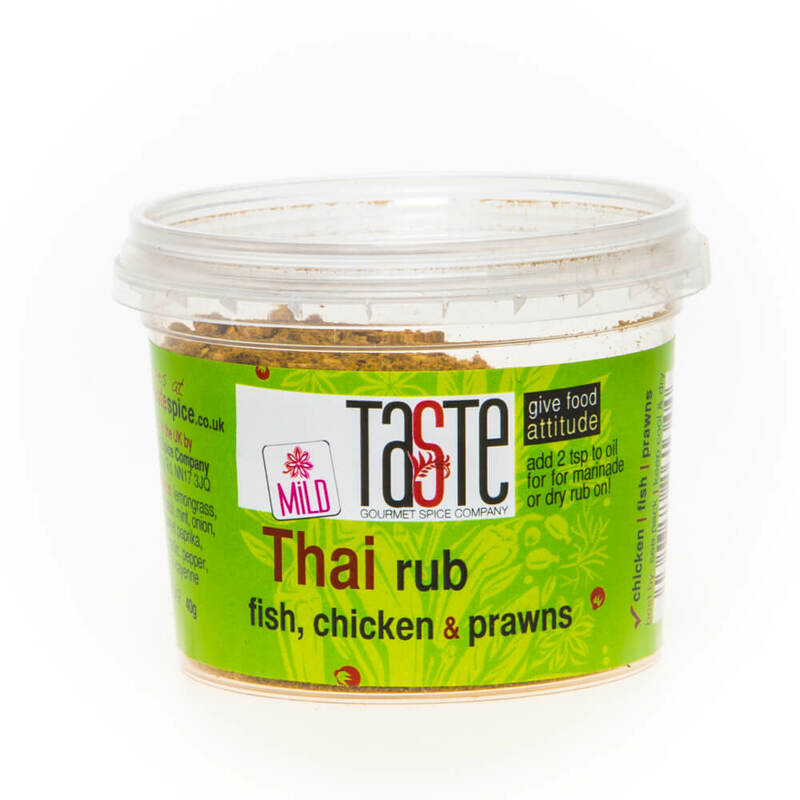 Thai Rub (mild): lemongrass, coconut, lime & mint gives a wonderfully zingy, fresh balance of sour, sweet, salty & warmth. Good on chicken & seafood. 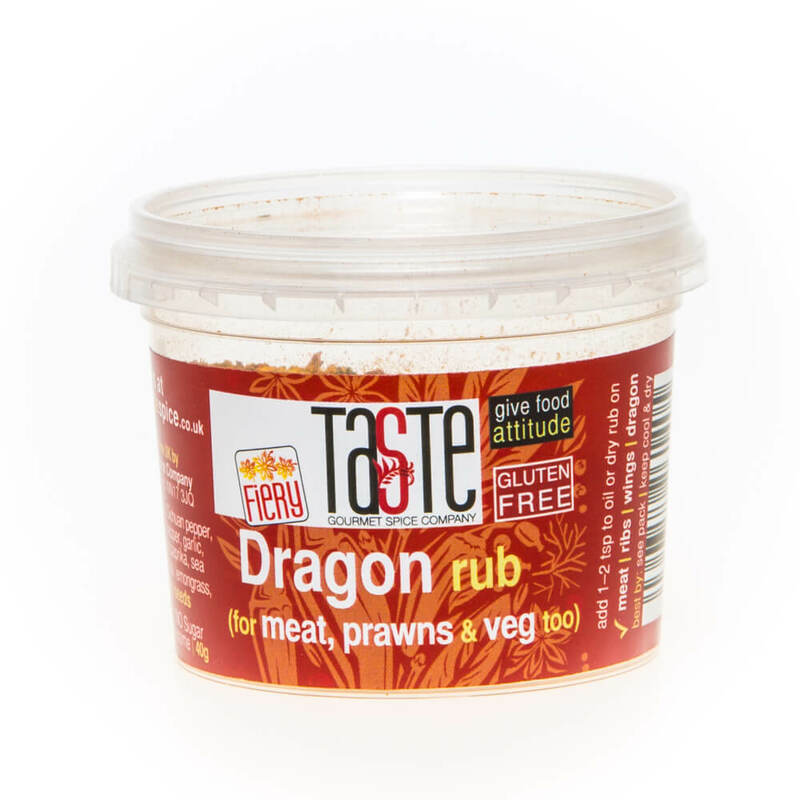 Dragon Rub (fiery): Sichuan pepper, ginger, chilli & lemongrass for an Asian alternative to Jamaican Jerk! Perfect on fish, pork, chicken & seafood. Tandoori Rub (mild): Rich, earthy & fragrant, gives richness to lamb, chicken, chickpeas, samosas, marinades, roast veg, prawns & more. 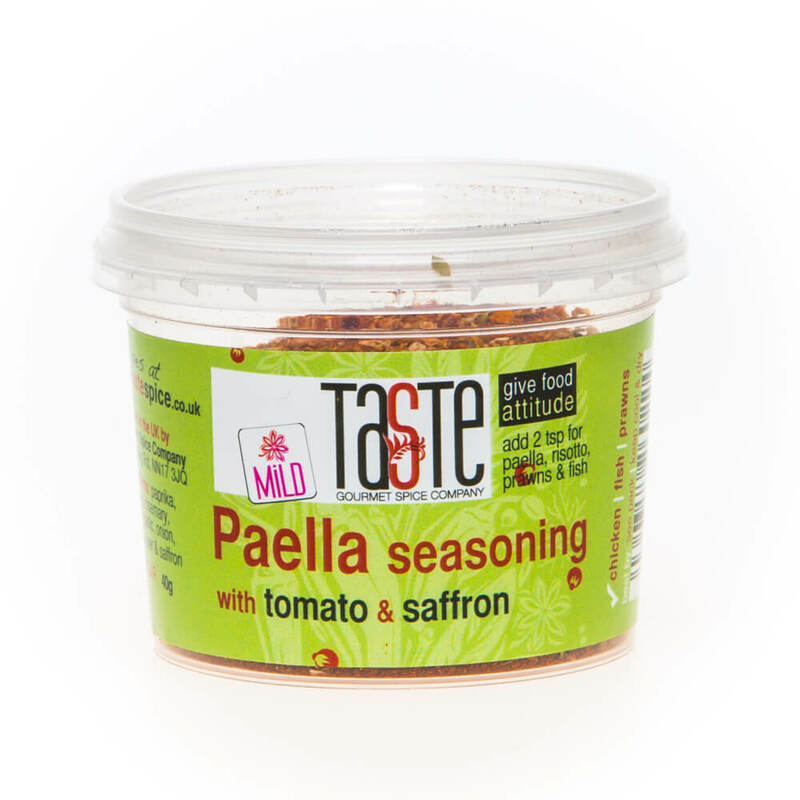 Paella Seasoning (mild): rich blend of tomato with a unique blend of paprika, spices, herbs & saffron. Perfect paella or risotto every time! 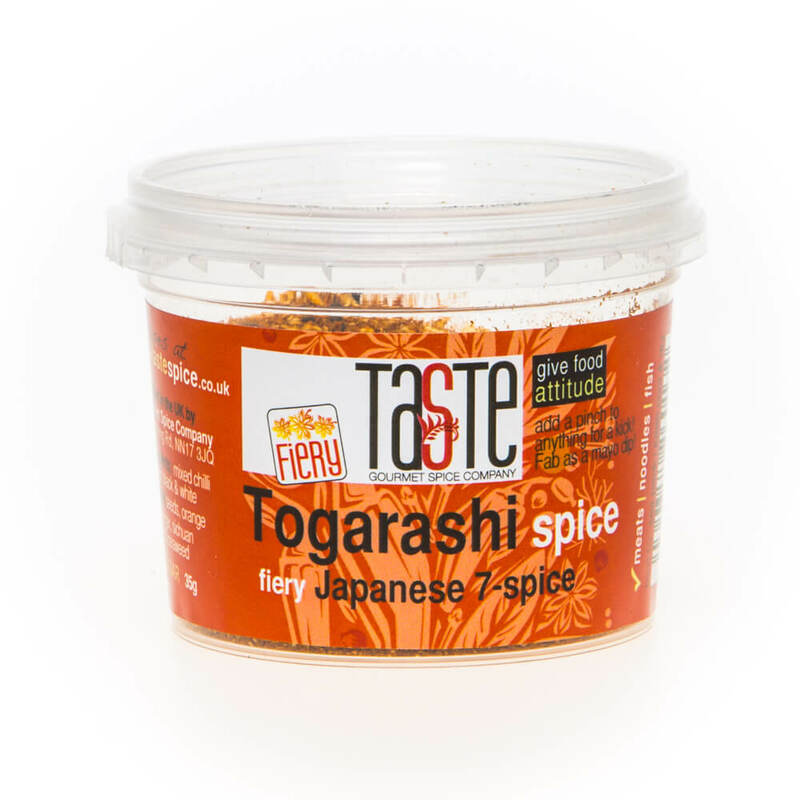 Togarashi (fiery): also known as shichimi, it’s awesome on stir fries, chicken, pork or seafood. 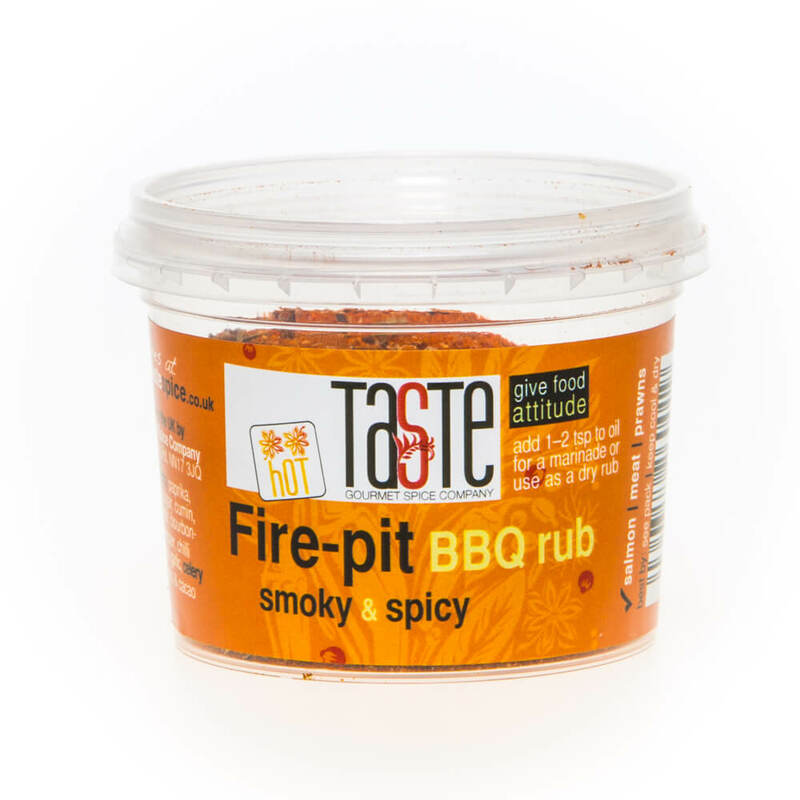 You only need a pinch for a massive kick of flavour & heat! 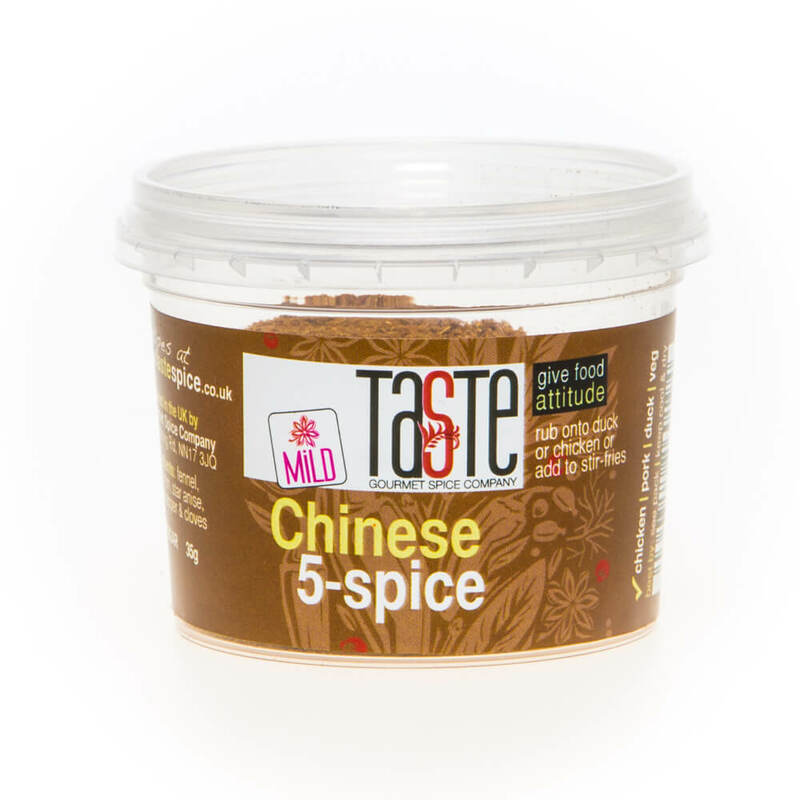 Chinese 5 Spice (mild): an absolute essential store-cupboard ingredient & a gorgeous blend, perfect for chicken, duck, stir fries & so much more. You choose which kit you want & we’ll do the rest. The more you buy, the more you save! 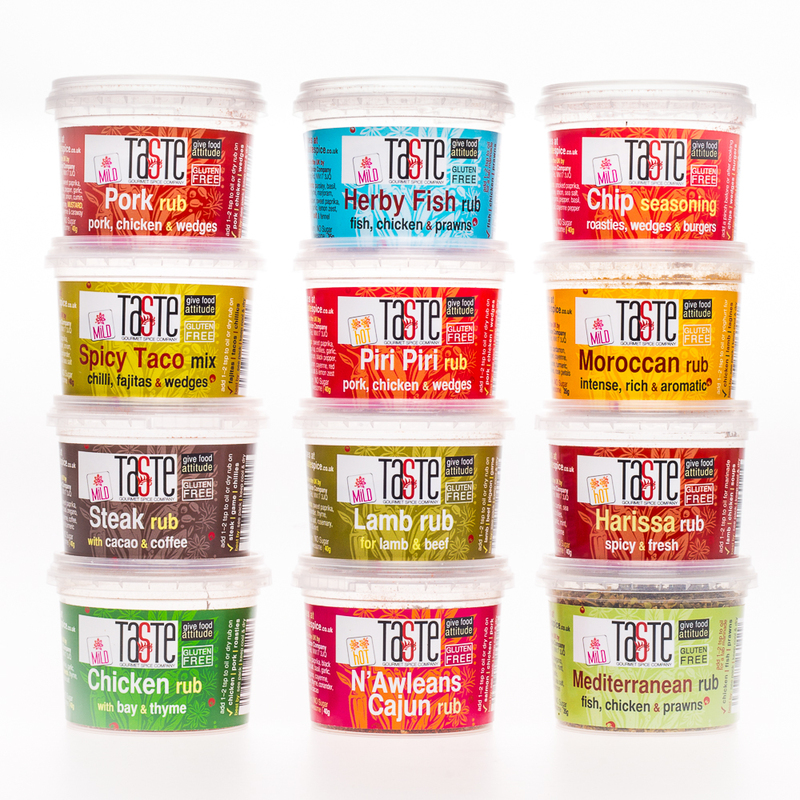 All are full size pots, not ‘taster’ sizes, with 35-40g of pure flavour in each pot (enough for 4+ family meals). Once you’ve tried our products, you’ll see why we’re so different! Recipe Tips leaflet included as well with lots more on the website. Paleo, Sugar free, Gluten Free, Vegan & Vegetarian.